Sprint is now testing a device that allows customers who want to have the ease of being all wireless but do not want to use their cell phone when at home. 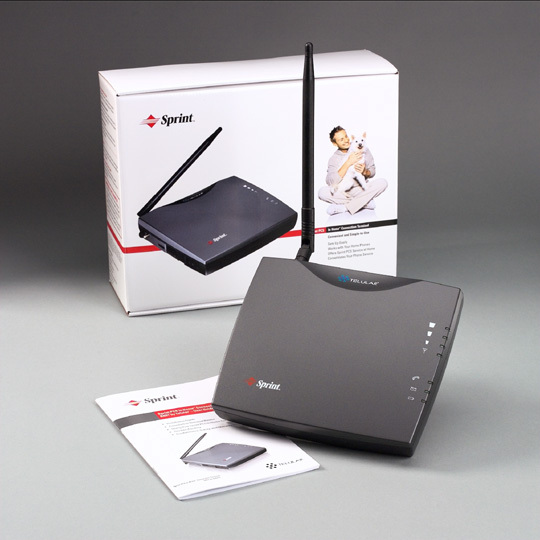 The Phonecell SX5T fixed wireless terminal hooks into Sprint's CDMA 1x network and provides a standard dial tone to devices attached to it (phone, fax, TiVo, etc). Currently the trial is limited to five US cities: Charlotte, Indianapolis, Minneapolis, Richmond and San Antonio. Pricing was not announced. A photo of the unit is available after the jump.